Nigeria is currently facing a severe environmental challenge: the management of solid waste in urban and rural areas. The West African nation is one of the largest producers of solid waste on the African continent — more than 32 million tons of solid waste is generated per annum, yet only 20–30% of it is collected and disposed of effectively. Some of the waste ends up blocking drains, littering streets and waterways, or in landfills which can create adverse health and environmental effects. One way of managing this situation is through recycling. 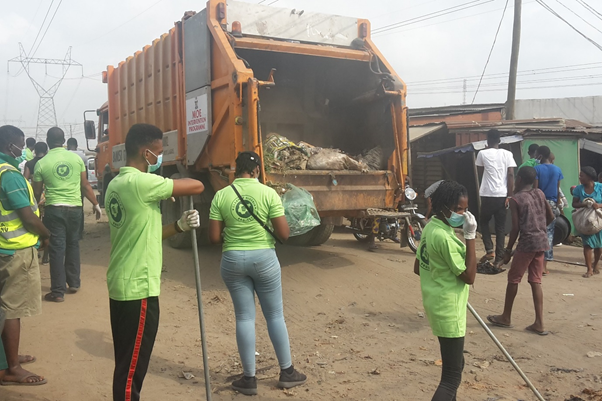 The recycling industry is still in its infancy in Nigeria but there is a start-up that is working towards promoting a recycling culture in the populous West African country by engaging communities to recycle through incentives. 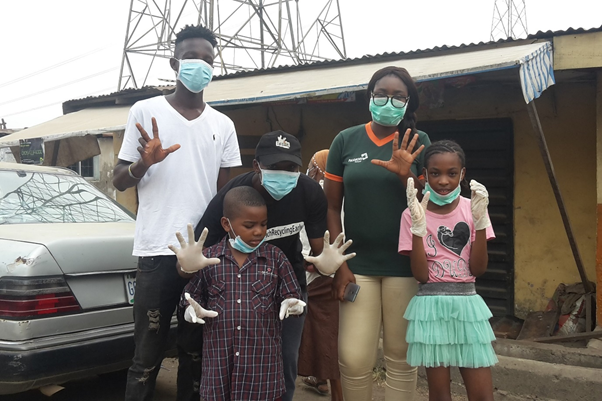 The initiative is Ecoprune, an environmental solutions company based in Lagos that tackles waste pollution through recycling. The social enterprise is run by co-founders Wunmi Ogunde and medical doctor, Dr Sandra Onwuekwe. “Ecoprune started from basically looking at the environment, looking at what is going on. The problems we are having in Nigeria” said Ogunde when recounting the challenges Nigeria has with waste management. Ogunde, who is a trained Engineer, says she got into this industry when she was a University student in 2010/11. She was doing a research project on plastic manufacturing and packaging and wanted to do a comparison between Nigeria and two other countries. After realising that there was no data available online on recycling and management in Nigeria, she decided to come to Nigeria to collect data herself. And what she witnessed at a landfill was unsanitary conditions that people were being exposed to. 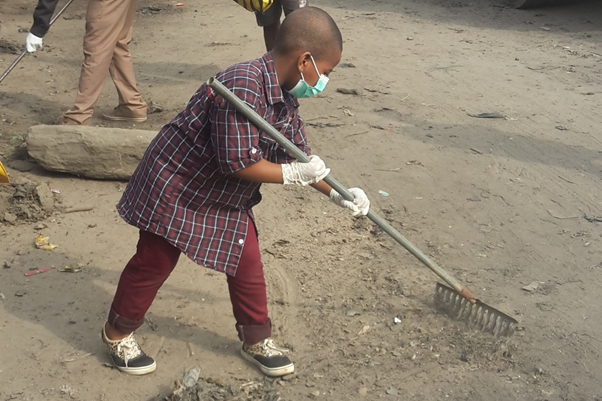 “I saw scavengers [picking rubbish]… even spending a few minutes there, [at the landfill] I already felt like I was sick. They don’t know what they are exposing themselves to. In the future, they will be wondering why they are sick”. 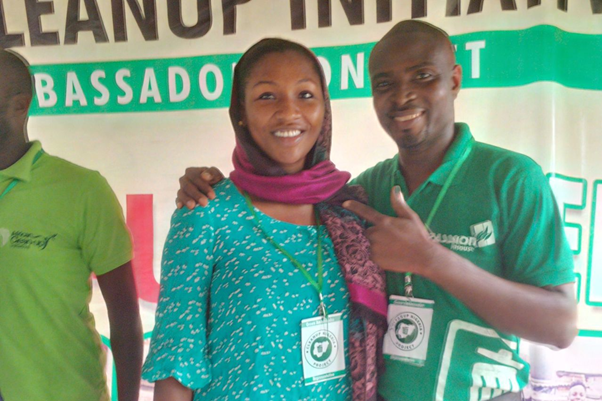 Fast forward a couple years later her and her co-founder united to form Ecoprune based on their shared experiences and passion for solving some of Nigeria’s environmental challenges through recycling. One of the innovative ways they utilise is to offer incentives to individuals and organisations such as business who recycle. The incentives on offer vary from cash, household items such as food and detergent, to televisions and laptops. “It depends on how much you have accumulated… [however the reception] has been positive” explains Ogunde. This incentivising of recycling has also been used in other African countries such as South Africa where household recycling rates are low. According to Statistics South Africa, 95% of its population does not recycle. However, community-based organisations, such as PACKA-CHING are also seeking to increase household recycling rates through offering community members cash rewards in exchange for their trash. 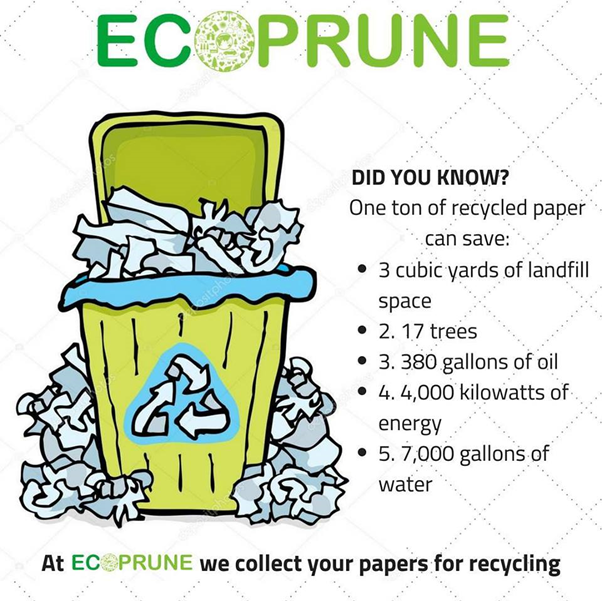 On top of encouraging people to recycle through incentives, Ecoprune also conducts other activities such as advocacy and provides material support to other organisations seeking to recycle too. “Aside from the advocacy, we have a lot of initiatives that we have established within our organisation to promote recycling”. “We have mixed ours with: advocacy, training, auditing. We also make sure we give you the proper tools to actually start recycling.” She says they have trained over 10,000 people from different organisations. They assist organisations to recycle by setting up the infrastructure such as labelled recycling bins, training and pick-ups. However, this social enterprise has not been without its challenges. Ogunde cites low level of participation and understanding as a major obstacle. “Not a lot of people understand what we are doing… it takes a longer time for them to understand…it is an emerging field in this part of the world. Generally, we (Africans) are concerned about where they are going to eat, sleep. They are not really concerned about the environment. It is survival”. Another challenge has been government support and financing. “… Every issue that has to do with the environment…in the long run will affect our health, our environment and even our economy. Like I always say: there is no economy without an environment. So even if all of us are focusing on economic development, trying to … [develop infrastructure]. If we don’t have an environment that can make this thing work, it will fall apart”. Ogunde and her team are ultimately committed to creating a sustainable future for Nigeria and the world over. “One of the things we are looking to promote is creating a sustainable future. So basically it is not just Nigeria, It’s not just Africa, and it’s all around the world”. Across borders to bring you news stories which the mainstream media wouldn't usually cover focusing most especially on young people around the world.